Whether you want to refresh a page, switch tabs, close a tab or open a new one, there’s now a Chrome gesture just for you. You can grab the latest version of Google’s Chrome browser from the App Store—and no, there’s still no way to make Chrome the default browser on your iPhone or iPad. That’s a shame, because Chrome’s nifty new gestures are making me rethink my allegiance to Safari. If you want to reload a page in Safari for iOS, you must tap the tiny “reload” button in the top corner of the screen. In Chrome, refreshing a page is a whole lot easier: just tug the page down. Doing so reveals a “reload” icon at the top of the screen; just wait for the icon to highlight itself, release the page, and … refresh complete! 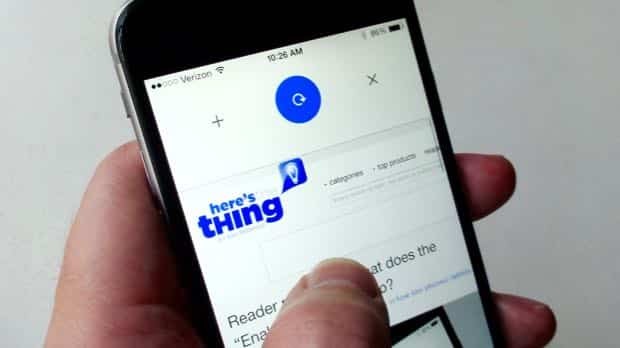 Want to switch tabs in the new Chrome for iOS? Just swipe the address bar. Opening a new tab in Safari demands a couple of taps: once on the Tabs button in the bottom corner of the page, and again on the “plus” button. In Chrome, adding a new tab takes just a single gesture (well, maybe a gesture and a half). Tug down on the page again, swipe left to select the “+” icon to the left of the refresh icon, then release. Again, just tug down on the page, except this time swipe right to select the “x” icon. Done and done. The standard way to switch tabs in Chrome is to tap the little square button to the right of the address bar; doing so reveals all your open tabs, and you can tap one to open it or swipe it away to close it. All well and good, but there’s an easier way to switch tabs: just swipe one way or another on the address bar. When you do, you’ll switch to the next open tab; keep swiping to cycle through them all. With its latest version, Chrome catches up to a feature Safari’s had for some time now: the ability to swipe to go back a page. Just swipe in from the left edge of the screen to go back, or swipe in from the right side to go forward.